Warm up with this delicious Healthy Peppermint Hot Chocolate made with raw cacao powder, pure maple syrup, coconut milk and almond milk. As soon as the weather gets cooler I am ready to sit by the fireplace with a good book and blanket and a cup of creamy hot chocolate. 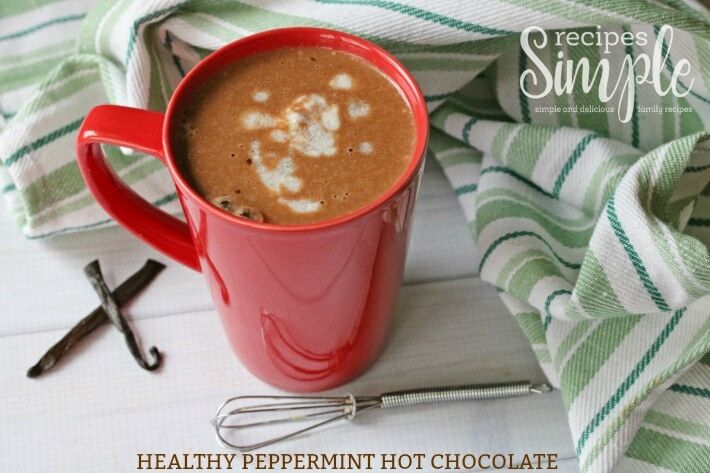 This Healthy Peppermint Hot Chocolate is so good and since it’s a healthier version I enjoy it even more. 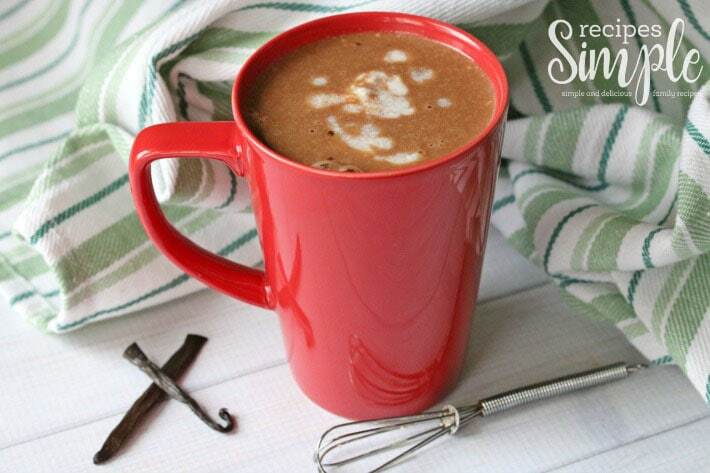 Gather your ingredients and let’s make some Healthy Peppermint Hot Chocolate! Combine the almond milk, cacao and syrup. Heat over medium heat. 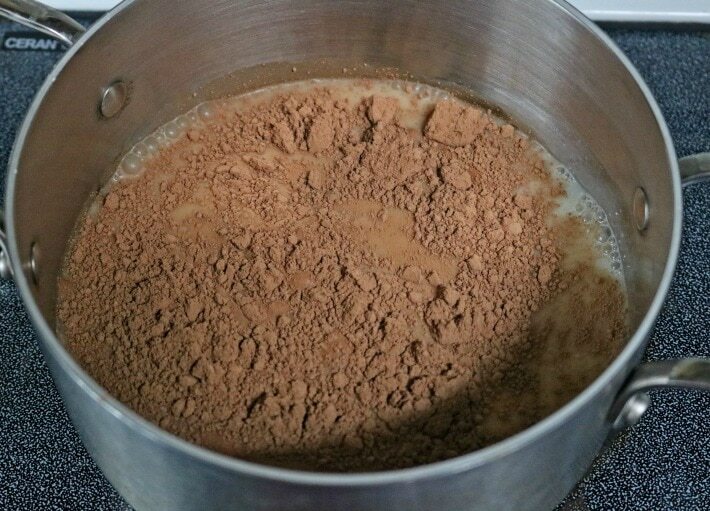 As the milk warms, whisk the cacao until no clumps remain. You want the milk to heat but not boil so be patient! Once warm, mix in the coconut milk, peppermint and vanilla. Whisk really well so there’s no chunks from the coconut milk. Heat a minute or two more until creamy looking. Chocolate and peppermint are a classic combination that are perfect together. Enjoy! 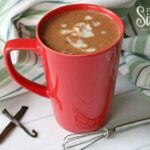 Warm up with this Healthy Peppermint Hot Chocolate made with raw cacao powder, pure maple syrup, coconut milk and almond milk. In a small pot combine the almond milk, cacao and syrup. Heat over medium heat. 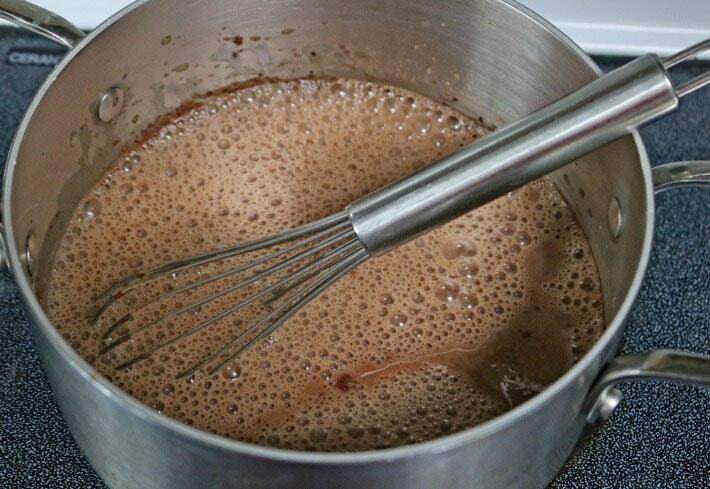 As the milk warms, whisk the cacao until no clumps remain. You want the milk to heat but not boil so be patient! Once warm, mix in the coconut milk, peppermint and vanilla. Whisk really well so there’s no chunks from the coconut milk. Heat a minute or two more until creamy looking.